Home is a place filled with love, warmth and character. It is a hub where family gather in the evenings, after work or after school; on weekends, curl-up on the sofa together to watch a film, enjoy Sunday lunch around the dining table. Home is where memories are made. When it comes to redecorating your home, it is important to choose the right flooring to suit your lifestyle. With so much choice available within the flooring industry, it can be hard to make the right investment for your home. Homeowners who are renovating a kitchen, living space, bathroom or patio, want a flooring material which is both durable and beautiful, with a timeless appeal. Natural stone flooring offers a practical and hard wearing surface with a multitude of colours and textures. Stone is a dynamic and versatile product which suits both traditional and contemporary interiors. Gone are the connotations of drafty castles and cold halls, replaced by images of cosy farmhouse kitchens and relaxing bathrooms. There is an infinite variety of stone types, finishes, colours and markings, including; limestone, sandstone, slate, granite, travertine and marble. Available in flagstone and mosaic formats, natural stone flooring makes a home unique – adding character and beauty. Natural stone always has a story to tell – where it comes from, the geological qualities that it possesses, the fossils and patterns, the iconic, historical buildings that used the same type of stone. Flagstone formats help create a sense of space, as the large rectangular and square stone slabs elongate a room, while mosaic tiles combine fashion with function, adding a contemporary look to a bathroom or living space floor. The majority of stone tiles can be used both indoors and out for flooring, walls, copings, patio and swimming pool surrounds. By using stone both indoors and out, you can create a coherent feel and seamless effect in your home. Natural stone tiles are comfortable to walk on. In the winter, stone retains heat, which makes for a warm surface underfoot, while in the summer, stone can help keep your home at a cooler climate. With modern underfloor heating systems becoming more affordable, you can create a cosy environment and save on household utility bills with the practicality of a hard floor. Stone flooring needs little maintenance; a regular soft brush and mop is all you need to keep the tiles clean. It provides a hygienic floor surface that does not store dust, pet hairs, or skin. Stone tiles last for years, making it one of the most sustainable products on the market. The ‘natural stone is expensive’ argument doesn’t really have any fruition anymore. 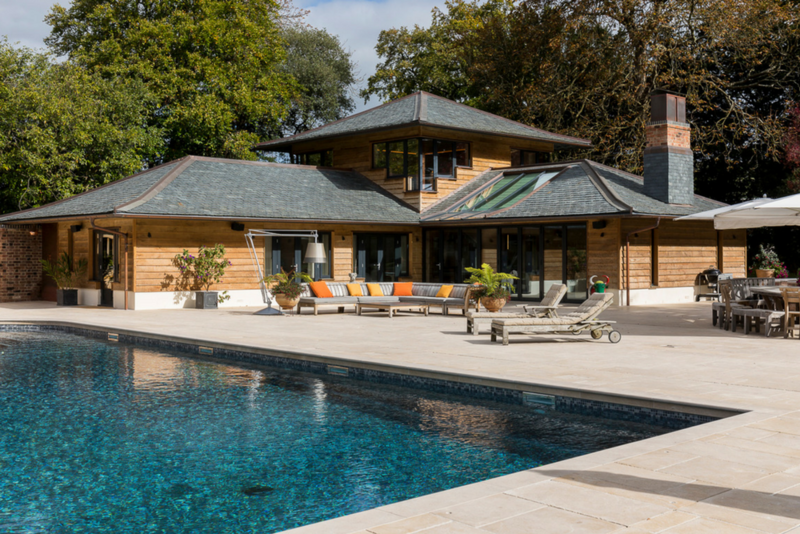 There has been an increase in demand, as more people look on a stone floor as an investment that will last for years, which has made stone more affordable. Stone makes a home more unique, more beautiful, more valuable and enjoyable forever.